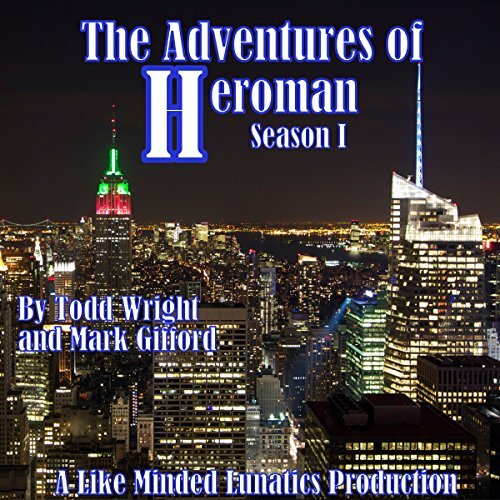 The Adventures of Heroman is a post-modern superhero tale about former superheroes and villains living in a world that's not so sure it needs or wants superheroes any more. This book contains the scripts for season one, which is comprised of four acts. The audio version contains a voiceover character who narrates the action as if he's narrating a 1940s-era Superman radio drama, despite the fact that the characters are dealing with mundane situations like group therapy and couple's counseling. The audio version is the authors' preferred version of the story. It has a large cast of unique and memorable characters, and boasts an original orchestral score and exciting sound effects.